Dr Isham Pawan Ahmad, International Islamic University of Malaysia. Much of the discussion on the attitude of Islam towards secularism has revolved around the question of the state. Proponents of the notion of the Islamic state claim that such as state is required to overcome the problems of secularism in a secular society. Such views tend to be reductionist and shallow. The speakers at this seminar contend that many problems presented by secularism would not only continue to exist but would also be perpetuated by the Islamic state as it has been generally conceived. 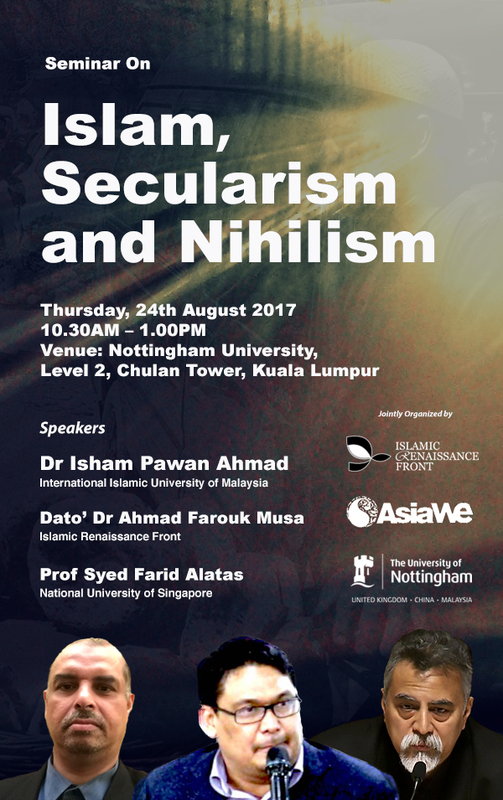 We will discuss also the problem of nihilism as a modern human condition in Muslim societies, a problem that is related to but distinct from secularism. 10.45 -11.15: Talk on “Islam and Secularism” by Dr Isham Pawan Ahmad, International Islamic University of Malaysia. 11.15-11.45: Talk on “Negotiating Secularism in Malaysia” by Dato’ Dr Ahmad Farouk Musa, Islamic Renaissance Front. Dato’ Dr Ahmad Farouk Musa is a Chairman and Director of the Islamic Renaissance Front, an intellectual movement and think-tank promoting reform and renewal in Islam, democracy, good governance and human rights. 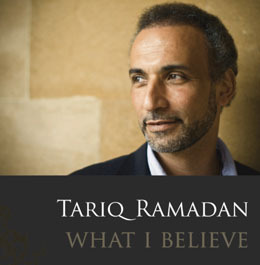 He is actively involved in civil society and the emerging discourse on post-Islamism. He is also involved in interfaith dialogues especially with regard to Christian-Muslim relations and intra-faith dialogues especially the Shi’i-Sunni discourse. He has presented papers at numerous international meetings including the latest at the Symposium on Islam and Contemporary Issues in Tehran, Iran, in March 2017. Professionally, he is an academic at the School of Medicine, Monash University Malaysia and a Cardiothoracic Surgeon. He is currently a Commissioner at the Commonwealth Initiative for the Freedom of Religion or Belief (CIFoRB) based in Westminster, London and also a Director at the Centre for Combating Corruption and Cronyism (C4). He was a former Deputy-Chairperson of BERSIH 2.0, a strong civil movement working for a free and fair election. Prof Syed Farid Alatas is a Professor of Sociology at the National University of Singapore. He also headed the Department of Malay Studies at NUS from 2007 till 2013. He lectured at the University of Malaya in the Department of Southeast Asian Studies prior to joining NUS. In the early 1990s, he was a Research Associate at the Women and Human Resource Studies Unit, Universiti Sains Malaysia. Prof. Alatas has authored numerous books and articles, including Applying Ibn Khaldun: The Recovery of a Lost Tradition in Sociology (Routledge, 2014); Sociological Theory Beyond the Canon (Palgrave, 2017) and “The State of Feminist Theory in Malaysia” in Maznah Mohamad & Wong Soak Koon, eds., Feminism: Malaysian Reflections and Experience (special issue of Kajian Malaysia: Journal of Malaysian Studies), 12, 1-2 (1994): 25-46. His areas of interest are the sociology of Islam, social theory, religion and reform, intra- and inter-religious dialogue, and the study of Orientalism. Prof. Alatas can be reached at [email protected].